Supporting our customers beyond the sale. 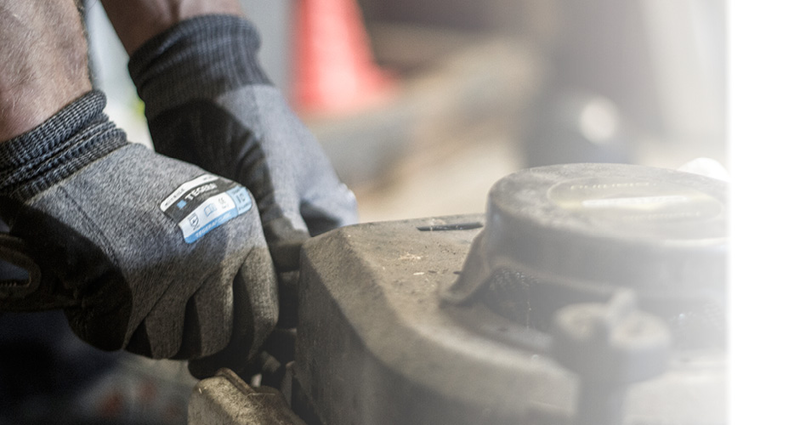 At Rimrock, we support our customers beyond the sale by providing servicing, spare parts, work wear and accessories for any product that we stock. We do this because we want our customers to think of us as an outdoor power equipment hub, a place of trusted opinions and unending support when it comes to the products that we provide. We don’t just want to provide products, Rimrock are here to support the life of the equipment that helps our local farms, commercial environments and homes to continue to be well maintained. Looking for accessories for your outdoor power equipment? Enquire about our range today on 07 4927 7033. If you are looking for spare parts, or have any questions about the ongoing maintenance and running of your power product, don’t hesitate to give one of our expert Rimrock staff a call for a solution. Visit us at our showroom for any enquiries, or to have a look through our products. One of our expert team members will recommend a product or service that is suited to your situation. Delivery and/or pickup can be arranged for larger items, should you require it. Get in touch again if you have any questions relating to maintenance or use of equipment, servicing and repairs, spare parts and accessories, or any other enquiry. Supporting you by providing everything you need for your outdoor power equipment. Have a big property? Look through our wide range of ride on mowers today. Keep your property presentable and get rid of growth you don’t need. We stock and service a wide range of hedge trimmers. Need a blower? Talk to the team at Rimrock today. All the best brands: Honda, Stihl and more. For standby’s to portables, we’ve got it all. Whatever the application, we stock the right high-pressure cleaner for any job. Get rid of branches and unwanted debris with a shredder today. We stock a wide range of volume and pressure water pumps. Looking for a new saw? We stock chain, concrete and hand saws. Need a drill with an engine behind it? We’ve got what you need. Whether domestic or commercial, talk to our team about our range of vacuum cleaners. We have accessories, running supplies, safety equipment and replacements for anything that we stock. If we stock it, we’ll service it. Rimrock Agencies service and repair all outdoor power equipment, and provide replacement parts, accessories, and routine servicing. If you’ve got a piece of outdoor power equipment that’s in need of servicing or repairs, get in touch with the team today. From ride on mowers to chainsaws and vacuum cleaners, we stock it all at our showroom in Rockhampton. If you’ve got a question or want to find out more about outdoor power equipment, stop in and say hi, one of our experts will be available to take your enquiry. The experts at Rimrock Agencies are ready to assist you with all things outdoor power equipment. We pride ourselves of delivering quality products and services to Central Queensland for more than 50 years. If we can't provide you with the right outdoor power products to suit your needs, it probably doesn't exist. From it’s inception over 50 years ago in Rockhampton, Rimrock Agencies have been supplying the local Central Queensland community with premium outdoor power equipment. From ride on mowers to whipper snippers, we supply and service it all. © 2019	Rimrock Agencies. Website Designed & Developed by Insight Digital Marketing.